VOYEURS #1 MY NAME IS SARA ZALTASH AND I AM LOOKING FOR SEBASTIAN BECHINGER-ENGLISH from MPA-B on Vimeo. 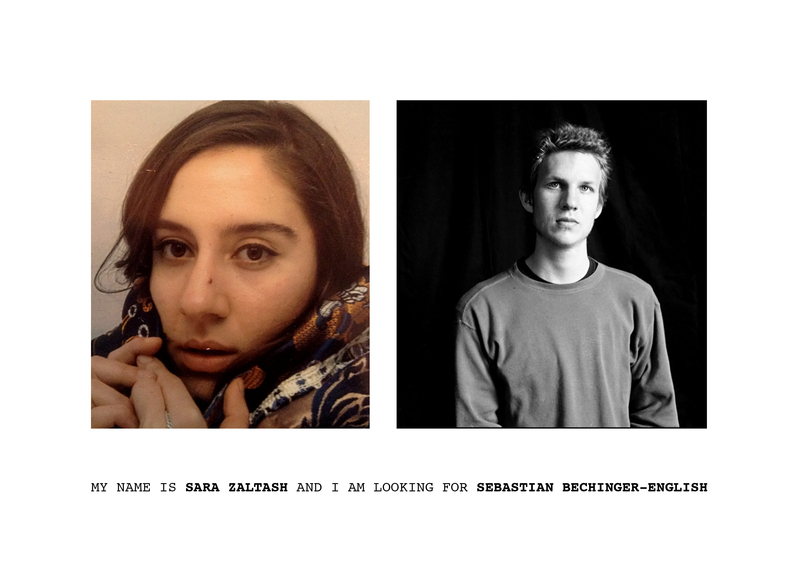 Sebastian Bechinger-English is an artist, a real person, someone Sara Zaltash has known. He is looking for her as well; he is looking for Sara Zaltash, an artist, a real person, someone he has known. They look for each other, ask people, search, gather information. Should they find each other they shall meet, and then part, and begin their search; but they might also never find each other. In this installment, VOYEURS explored the accidental interactions that can arise from the random encounters between the work and its possible audience; thus focusing on the public as the – or a – performer and the idea of the audience as a canvas for action and reaction.